»Ever Been To Gudibande, A Beautiful Town Near Bangalore? Bangalore is surrounded by numerous hidden places which make for ideal weekend getaways. If you are looking for such unexplored and unknown places where you can escape the hustle and bustle of Bangalore and spend your weekends in the midst of a peaceful environment, then you can plan a trip to Gudibande. It is a small town blessed with hills and lakes and is a perfect destination to savour the fresh beauty of nature. If you are a nature lover, then you would certainly love this place to the core. So, let's move ahead and learn in detail about the location and surroundings of Gudibande and how to reach it. Gudibande experiences a moderate type of climate throughout the year, and therefore it can be frequented anytime in a year. However, if you desire to avoid the summer heat of Gudibande, then the best time to visit it is from October until the end of February. During this period, the climate is perfectly favourable, thereby, letting visitors explore places conveniently. 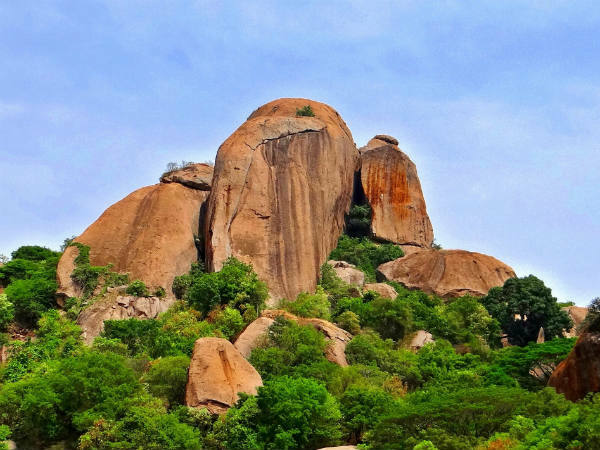 Located in the Chikkaballapur district of Karnataka in the close proximity of Bangalore, Gudibande is a small town which is famous amongst locals and offbeat travellers for its rock hills and Gudibande Fort, which dates back to several centuries. Therefore, the town is of historical as well as natural importance. But do you know the region in and around Gudibande is also home to several temples and beautiful lakes? Therefore, it becomes a perfect weekend getaway amid hills, temples, monuments and lakes. However, the Gudibande Fort and the Shiva temple present within its boundaries are the major attractions here. As per records, the history of this beautiful town dates back to the Medieval Period of India when the region was ruled by the Chola dynasty. Today, Gudibande has become a popular weekend getaway for locals and people living in the nearby cities. Gudibande is a destination which has in store a lot, ranging from natural sites to historical places. Therefore, it can be visited by history lovers as well as nature enthusiasts. If you are looking for a fresh, unexplored place near Bangalore, it is a perfect place which can satisfy your needs. The major spots to savour here include Lakshmi Venkataramana Swamy Temple, Bhairasagara Lake, Gudibande Fort, Narasimha Swamy Temple and Surasadmagiri Hill, which houses about 13 ponds and two Hindu temples. If you would love to explore the main boundaries of Gudibande, then you can also visit Avalabetta Hill and Lepakshi Temple located at a distance of about 20 km and 23 km respectively. So, don't you think Gudibande calls for a visit now? By Air: The nearest airport to Gudibande is located in Bangalore. Once you have reached Bangalore, you can hire a direct cab or use public transport to reach Gudibande. The distance between Bangalore and Gudibande is 90 km. By Rail: Gudibande doesn't have a railway station of its own and the nearest major railhead is also located in Bangalore. By Road: Gudibande is well connected to all other cities and towns by road, and hence it can be easily approached by road. It will take an approximate time of 2 h to reach Gudibande from Bangalore.